Hello dear readers and followers! You may have noticed a recent authorization attempt from Blizzard Entertainment on your credit card. 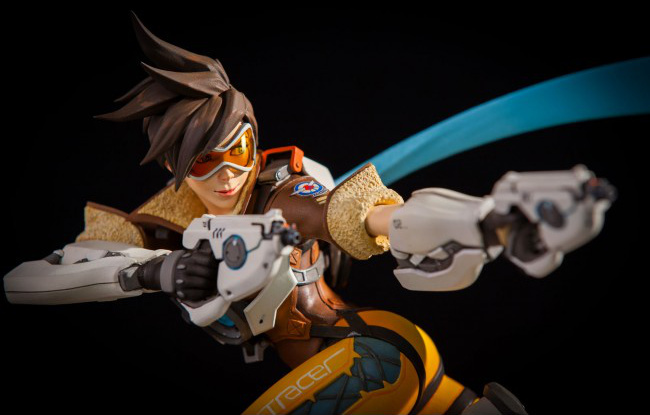 This authorization occurred because the current pre-order period for Tracer has ended and we’ve started to prepare for the next stage of the process. Please be aware that this authorization is only a temporary hold of funds to authenticate your purchase. You are not being charged at this time. 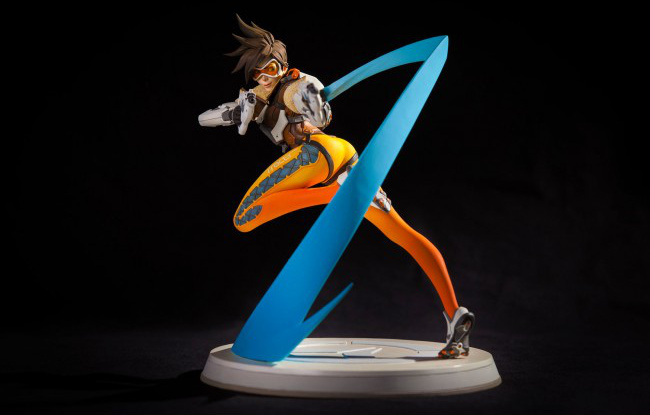 The Tracer statue is expected to ship in the second quarter of 2015. Using an order number or a reference number (aka ticket number), gives both parties the ultimate information: a unique number that refers to a specific interaction between them. I love those. The funny quote at the beginning is a very clever way to introduce the purpose of the message (subject). Just like an inside joke, only the recipient knows what it’s about. 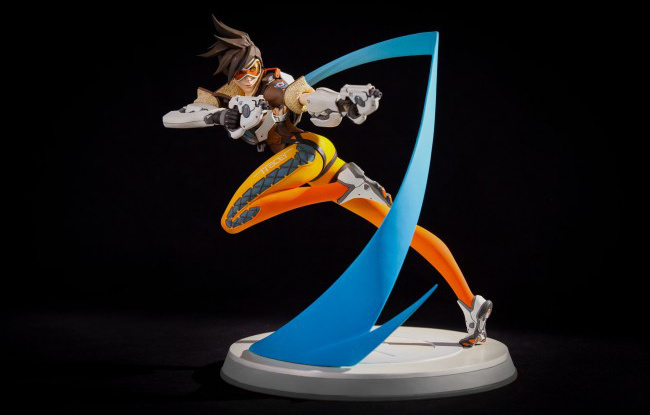 Anyone familiar with Blizzard’s products knows the e-mail is about Tracer, a game character from Blizzard’s upcoming title Overwatch, as the quote is from her. It creates a deeper intimate connection for something very process-oriented. A nice touch. Then, the user is politely greeted and the message clearly explains what’s going on: they simply checked the validity of my credit card so that when it’s time to charge for the product, it’ll work. Fine by me! For the control freaks out there, they even explained that it’s NOT a charge. Twice… Hum… no. Make it three. Finally, a time frame is given. In the world of pre-orders, dates are a rare commodity. Using quarters instead of precise dates is also very clever: it tells the customer approximately when to expect the product, and at the same time, gives the company a 3 months grace period to deliver. Smart, huh? I’ll definitely use that for my big quotes! For good communication (or a radio hit), repetition is essential, even critical. Reiterating the origin of the message in the signature is a good idea. In this case, the Blizzard Gear Store. Voilà! Just a little example of how to build a clear concise follow-up message. 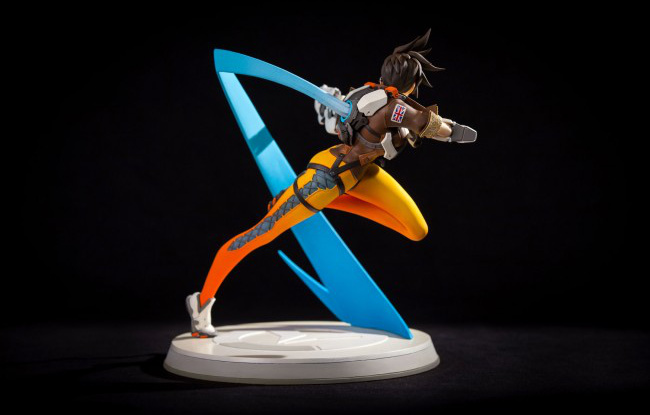 For those wondering who’s “Tracer” and what this pre-order is all about, here, some pictures. Last chance for collectors! Check it out! The Internet is NOT a safe playground. Even legitimate website can be compromised. Recently, a small error in a security protocol (known as Heart Bleed) was enough to allow unscrupulous individuals to steal private information. People should always be weary of what they do and what information they provide while connected to the Internet. Also, once something is made PUBLIC, it’s to late to “remove” it. Just realize: a single code breach (which you have no control over) is enough to compromise your privacy and security… Now imagine all your home’s doors and windows opened instead of a crack… that’s what using the Internet is when you don’t know what you’re doing. Don’t feel stupid ASKING others when you’re not sure about something. Whenever doubting, ASK. Click to enlarge – Note that StarCraft Anthology is not free. Blizzard, world renown game creators of Diablo, Star Craft, Warcraft and World of Warcraft, FINALLY made available their old game Three Lost Vikings for FREE! 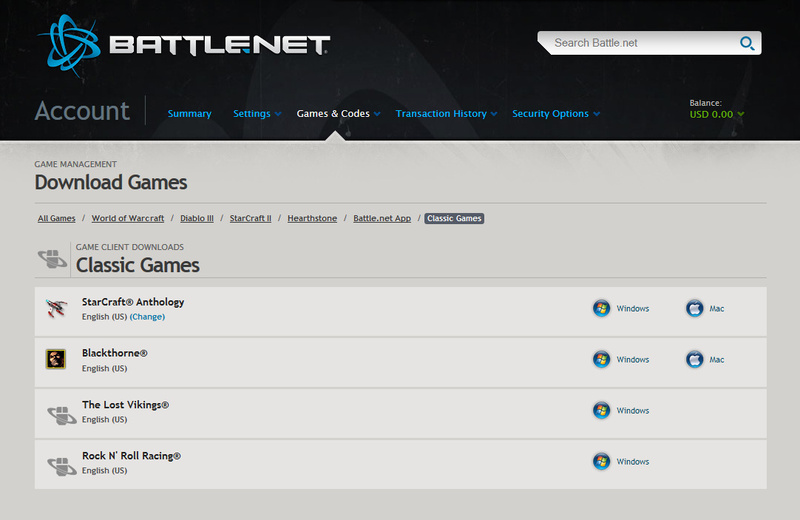 Simply log into your battle.net account and grab it in the Classic Games section of your account!